In the recent Metal AM Magazine, Herminso Gomez and Andrew Ramsey discuss the rules of micro-CT. Metal AM parts are increasingly being considered for the reduction of component weight without compromising strength. For safety critical components, it is essential to know whether voids or inclusions are present and where they occur. In such cases, X-ray Computed Tomography is a powerful tool for non-destructively assuring geometrical tolerances and assessing internal defects. High-accuracy micro-CT technology has continued to evolve over the past ten years. Applications are diverse and growing across the automotive, aerospace, energy and medical consumer sectors, dealing with metals and exotic alloys as well as plastics and other workpiece materials. Accompanying software tools enable the analysis of part volume against the CAD model either via direct volume-to-CAD comparisons or through geometric dimensioning and tolerance measurements. With costs now low enough to make it competitive with other techniques, micro-CT can now be considered for applications in many broader metrology applications. A better understanding of the rules of micro-CT not only opens the door to production cost savings and productivity improvement, but knowing when to break them can provide even further process flexibility. Following these rules will give the best-possible CT results for full metrology purposes and is general good practice. However, if you need qualitative information (is a crack present or not, what is the sample’s porosity, how many densities are present, is an electrical connection made or broken), or the information needed will not be affected by the artefacts, then the rules can be broken. Rule 1: penetrate the sample at all angles; Rule 6: keep the object in the field-of-view. If the material not in view is relatively homogenous and uniform in shape, then it will only add a small ring at the edge. Internal features will be easily visible and usable. This allows us to zoom in and see more detail. If the feature being analysed is near the centre of the scan, or if the size of the feature is much larger than a single pixel, then the number of projections can be reduced to speed up the scan. If time is limited, reducing the noise in the black and white reference images will reduce the overall noise significantly without greatly increasing the length of the whole scan. When inspecting very low density specimens, very low energy X-rays are used to give good contrast in the images. To fill the dynamic range requires long exposures. Halving the exposure only loses one bit of information but saves a lot of time. ‘The rules of micro-CT and when to break them’ was written by Herminso Gomez and Andrew Ramsey of Nikon Metrology for a recent article in the Metal AM magazine. For the full in-depth analysis, head to pages 105-111, and read the complete article in the Metal AM Summer 2017 magazine here. The rules of micro-CT come out of the theory of CT reconstruction. Following the rules means you will most likely generate the best-quality CT data. However, sometimes breaking the rules can save a lot of time without compromising significantly on image quality. As AM continues to rewrite the manufacturing rulebook, X-ray Computed Tomography can be a powerful partner for non-destructively assuring geometrical tolerances and the assessment of internal defects. 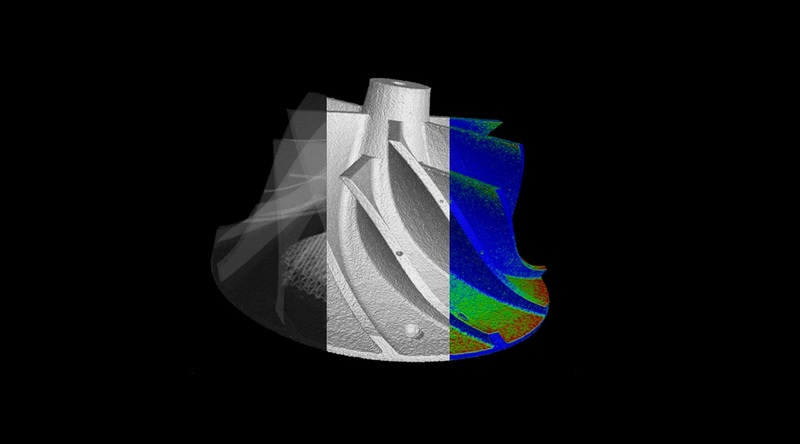 Read more about Computed Tomography for additive manufacturing (AM), here.